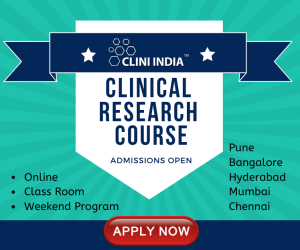 CBCC Global Research is an oncology and medical device focused contract research organization serving a wide spectrum of clinical research services including Phase II-IV clinical trials services, medical writing and HEOR related writing, ECG & image core lab services, post marketing registry trials to the Bio-Pharmaceutical, Medical device, and Diagnostics companies. Our close association with our medical advisory board and research communities helps us decode the intricacies of clinical trials targeted at specific therapeutic areas. Apotex is a proudly Canadian, global pharmaceutical company that produces high-quality, affordable medicines (both generic and innovative pharmaceuticals) for patients around the world. We are the 7th largest generic pharmaceutical company globally with more than 12,000 employees and estimated sales of approximately $3 billion. Our fully integrated operation is comprised of four lines of business: Global Generics; Apobiologix; Global Active Pharmaceutical Ingredients (API); and ApoPharma (Innovative Products). Teva is a global pharmaceutical leader and the world’s largest generic medicines producer, committed to improving health and increasing access to quality health solutions worldwide. Our employees are at the core of our success, with colleagues in over 80 countries delivering the world’s largest medicine cabinet to 200 million people every day. We offer a uniquely diverse portfolio of products and solutions for patients and we’ve built a promising pipeline centered around our core therapeutic areas. We are continually developing patient-centric solutions and significantly growing both our generic and specialty medicines business through investment in research and development, marketing, business development and innovation. This is how we improve health and enable people to live better, healthier lives. 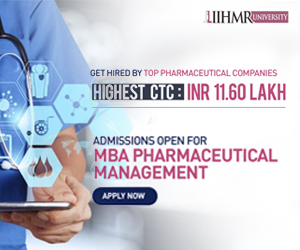 Micro Therapeutic Research Labs Private Limited (MTR) is a quality driven, full service Contract Research Organization (CRO) that provides a broad range of clinical research services to global Pharmaceutical, biotechnology, nutraceutical and cosmetic industry. Post : Clinical Research Associate Pharmacist. Apotex is a proudly Canadian, global pharmaceutical company that produces high-quality, affordable medicines (both generic and innovative pharmaceuticals) for patients around the world. We are the 7th largest generic pharmaceutical company globally with more than 12,000 employees and estimated sales of approximately $3 billion. Our fully integrated operation is comprised of four lines of business: Global Generics; Apobiologix; Global Active Pharmaceutical Ingredients (API); and ApoPharma (Innovative Products). With our worldwide manufacturing sites, Apotex can produce up to 24 billion dosages per year. HLL Lifecare Limited, a Mini Ratna Central Public Sector Enterprise under the Ministry of Health & Family Welfare, Govt. of India is a global provider of high quality healthcare products & services. With state-of-the-art manufacturing facilities spanning across India, HLL is diversifying into vaccine manufacturing, lifecare services, sanitary napkins besides engaging in procurement consultancy, healthcare infrastructure development and facility management. Medpace is a scientifically-driven, global, full-service clinical contract research organization (CRO) providing Phase I-IV clinical development services to the biotechnology, pharmaceutical and medical device industries. Medpace’s mission is to accelerate the global development of safe and effective medical therapeutics through its high-science and disciplined operating approach. We leverage local regulatory and deep therapeutic expertise across all major areas including oncology, cardiology, metabolic disease, endocrinology, central nervous system, anti-viral and anti-infective. Headquartered in Cincinnati, Ohio, Medpace employs approximately 2,500 people across 35 countries.